Situated in the heart of Africa, Chad is one of the biggest Sahel countries with a surface of 1 284 000 square kilometre. With an annual growth rate of 3.5 percent the very young population of 11 880 614 inhabitants – 2/3 of the population is under the age of 25 – is expected to grow rapidly over the next decades.1 The labour force consists of approximately six million people of which only nearly three million people are formally employed. 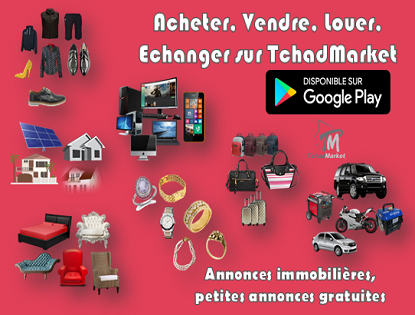 Poverty rates are high and Chad ranks 186 out of 189 countries on the HDI-index.2 With a lot of youngsters entering the labour market in search for work, one of the biggest challenges of the Chadian government is to help these youngsters to work. Several issues complicate this challenge. First, large parts (80%) of the population live in rural areas and large parts of the population are working in and/or dependent on the primary sector, which mainly consists of agriculture.3 The secondary and tertiary sectors of industry and services are hardly developed and only 20% of the population has found of job in these sectors.4 Besides this, the level of education in the country is low. According to UNICEF statistics (December 2013), only 53,6% of the male population between 15-24 years old is able to read and write. For girls, this percentage Is even lower: 42,2%.5 The group older than 25 often lacks any form of education; only 14,9% has followed primary education and 5,3% has finished secondary education or higher. In general literacy rates (i.e. age 15 and over who can read and write French and Arabic) for men are 31,3% and 14% for women (CAI Factbook Oct2018). 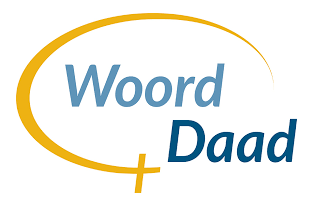 The mission of Woord and Daad (W&D) is to connect people around the world in their fight against poverty, which triggered its wish to work in Chad. The situation and problems sketched in the previous paragraphs link with W&D Job Booster (JB) concept, which aims to help people to work by connecting job seekers to employment opportunities. JB is focused on employment, income and education. All of these are strongly linked to the underlying goals of W&D of dignity and self-sufficiency. Good experiences in Ethiopia, Burkina Faso and several other countries with a JB project inspired W&D to look for opportunities to start JB in Chad. A more detailed of the Job Booster concept is provided in Annex 1. An analysis of policies, practices and role of the government in relation to youth (self-) employment, entrepreneurial training and (TVET) education, including a SWOT analysis. An analysis of the private sector and the possibilities and threats with regard to youth (un)employment, including a labour market scan to identify possibilities for employment and a study of the business environment for start-ups with challenges and possibilities, and a SWOT analysis. Conclusions and specific recommendations for JB design; how can JB be set up best, what should be the focus of JB in Chad and what should be the roles and responsibilities of a JB organization related to a consortium of (implementing) partners. Development of data collection sheets for private sector, government, graduates/job seekers, TVET/education centres and students, including a proposed methodology on how to collect the data. The data collection sheets are to be approved by W&D. Labour market scan and survey among stakeholders to map the employment situation in the private sector and the trends. This covers data and information on labour market opportunities, demand by companies for skilled workers, youth (un)employment, opportunities and constraints for self-employment, skill and knowledge requirements, etc. The scan looks at different sectors and maps possible differences per region. Possible differences between (agri-)wage-employment and (agri-)self-employment and differences between formal and informal labour and rural/urban areas are to be taken into account. SWOT analysis of the private sector with regards to youth (un)employment. SWOT analysis of the TVET and entrepreneurial training sector with regards to youth (un)employment. A study among graduates/job seekers to assess their employment situation and employability. This is focussed on the challenges they face to enter the (wage) labour market and the question why (if so) they do not consider self-employment as an option to get employed. There is focus on both TVET graduates and job seekers in general and the differences between their answers are presented. A SWOT analysis of the employability of youngsters. From the perspective of graduates and job seekers. Possibilities for future JB implementation on regional level targeting private sector, (local) government offices and training institutes. The analyses must have a specific focus on the connection between the different actors (government, private sector, job seekers/graduates and education/training institutes). It includes research on available (statistical) data and information, organized survey’s, focus group discussions and in depth conversations. The lead consultant should possess minimum Master degree in Economics and/or Education or any other related field. Have an attitude focused on learning and improvement rather than external control. 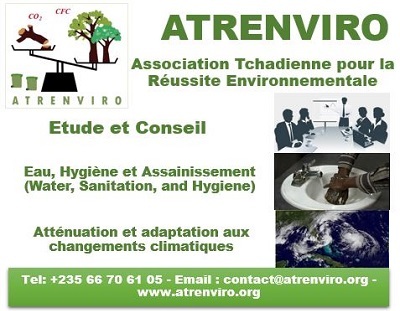 Diverse understanding and clear knowledge of the private sector, labour market sector in Chad. Extensive experience in carrying out complex field based surveys. 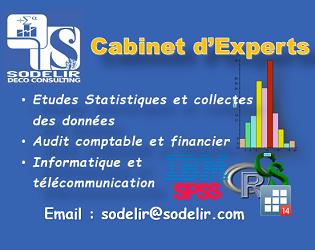 Experience in qualitative and quantitative data collection and analysis. Experience in data collection through focus group discussions. High degree of independence, flexibility and ability to meet strict deadlines. 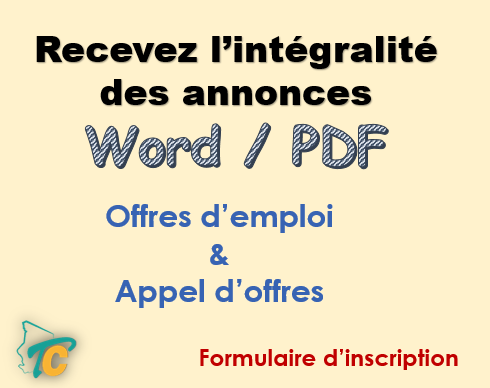 Must be a fully independent professional from both W&D and the partner organizations in Chad. Has respect for the context and Christian character of W&D and the partner organizations. Contact details of two referees from recent clients. The time period to complete this assessment begins no later than 23 November 2018 and ends on 31 January 2019 (10 weeks). W&D will inform the consultants around November 12, 2018 about the outcome of the selection procedure. The selected consultants are to submit a specific plan of action based on their proposal and input from W&D before October 31, 2018. The proposal, including the resumes (CV) of principle consultants, should be submitted to W&D at: [email protected] on 31 October 2018 the latest. Proposals should clearly indicate how the consultancy team fits the qualifications and experience, and how the terms of reference will be achieved, and budget estimates. The proposal can be written in French or English.